Somerton, Arizona—Sonia Burgos Salazar, age 34, died early Tuesday when she was ejected from her pickup truck as it rolled. 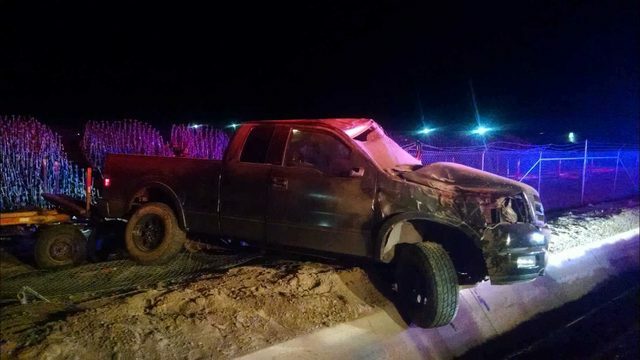 Emergency responders from the Somerton Cocopah Fire Department and Yuma County Sheriff’s Office were summoned to the vicinity of County 14th and Avenue F around 2:45 a.m. on Tuesday, where a pickup truck had rolled and crashed through the fence surrounding an agriculture shop. A shop employee heard the crash and called 911 upon discovering the accident scene. Firefighters were unable to determine the direction in which the pickup was traveling. The pickup came to rest with its front wheels extending over the edge of a dry irrigation ditch where Ms. Salazar’s body landed. Ms. Salazar was the only occupant in the pickup. We extend our condolences to the family and friends of Ms. Salazar.